A United States Treasury security is government debt issued by the United States Department of the Treasury. 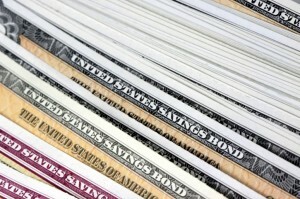 Treasury securities are the debt financing instruments of the United States Federal government. All of the marketable Treasury securities, consisting of Treasury bills, Treasury notes, Treasury bonds, and Treasury Inflation Protected Securities (TIPS), are very liquid and are heavily traded on the secondary market. JVB’s U.S. Treasuries desk provides institutional directional analysis for the U.S. Treasury markets and U.S. Treasury yield curve, as well as Non-Dollar denominated debt. Using our proprietary technical approach, JVB is able to provide market commentary to primary dealers, hedge funds, insurance companies, and large mutual/pension funds.